As election day nears and we the people cast our votes for leader of the United States of America, I find that neither of you has convinced me, without a doubt, that you are the superior candidate. And I am ultimately aware that it is me, and others like me, who will be deciding the future for one of you and for all of us in this great nation. We are a minority, yet we hold the key to this election. Because you are now running neck and neck – as great a race as The Kentucky Derby. Nose to nose, you thunder to the finish line. The percentages who are not likely to change their minds are fairly equal. There are some in each party who will vote for the candidate that represents it regardless of that candidate’s abilities and qualifications. You will not change their minds. Polls show that this is equal in amounts of Democrats and Republicans. So it is the few – the small minority – who will decide, approximately 16%. I count myself among them and if you wish to get re-elected or elected as the case may be, here is what I would like to know. Talking with others who are like-minded, they too may choose based on how well you answer a few rough questions. I want to go straight to healthcare. This is the issue receiving the most noise. And here’s the problem. The entire nation supports some type of reform – some type of coverage for every American. But in every debate of the last election, the insurance companies were singled out as the cause of the collapse. Yet, we are being forced to give them MORE money under the current healthcare reform act. If they were the problem to begin with, why give them more money? Why force Americans to purchase services from giant corporations who have reported record-breaking incomes – the top ten earning profits in excess of $13.1 Billion in 2011. And according to The New York Times, “yet the companies continue to press for higher premiums, even though their reserve coffers are flush with profits and shareholders have been rewarded with new dividends.” They are also forcing the deductible higher and higher, some as high as $2,000.00. According to Forbes, there is an additional $48 Billion in medicare fraud. Mr. President, I would like to know why we didn’t force those responsible for this disaster to clean up their own mess or simply replace them with national healthcare. Couldn’t you give them one year? If they then fail to provide a plan that will cover everyone, regardless of pre-existing conditions and unreasonable deductibles, then it is due to lack of consideration for the longevity of their service. We can let them go the way of the cotton gin or the horse-drawn buggy. If insurance companies can still report such revenues after negotiating with healthcare providers, then certainly one large American Healthcare Organization could do the same. And add to that the billions in fraud, and we could have the most efficient healthcare in the world. Mr. President, with all due respect, it is the most capitalist move I have ever witnessed. I do not understand the socialist moniker being slapped across Obamacare. It is not socialist. It is the handing over of revenue by force to independent companies. That is what we don’t like. Can you explain this? Governor Romney, would you please tell us how this differs from the same program you instituted in Massachusetts? I understand that our president used your program as his model. So what is it that differs and why are you so against it instead of being flattered that you fathered this idea? As of yesterday, Gallup Polls shows an increase in job performance for the president to 53% in favor and 42% against. Housing markets are up, housing prices are up, and the stock market is rising. Mitt Romney, how can you consider this a failure? Also, former Governor Romney, can you explain your faith in the numbers of unemployment when they are in excess of 8%, but then call the agency reporting these numbers cheaters when they fall below that percentage? In fairness, thumping the importance of the 8% and denigrating the agency’s reputation when it is no longer in that range, doesn’t bode well for your own reputation. However, in support of you, Mitt Romney, I believe your skills at running big business and decision-making are your top qualities. From the state of Massachusetts to the Olympics in Utah, you have proven to be economically smart. This alone earns you, Mr. Romney, great points toward gaining many votes. As for economic recovery though, I think you have been about as clear on your plan as you have been on your tax returns. Neither seems obvious to anyone. It is easy to promise that you have a ‘secret’ plan. Share it with us, please. Patent your ideas if you are afraid someone will steal them, but put them out on the table for us to dissect. They may indeed surpass anything the president has done to date, but without your disclosure, how will we judge? To both of you, what are your intentions concerning the high cost of gas? There are some in Congress who seem totally out of touch with the importance of our economy on lowering the price of gas. I have heard suggestions from more than one that we should all buy tiny electric cars. Really? Can you educate them or just send them home? Unless you are making – by hand – everything that you eat, wear, live in, heat with and own, the cost of it is directly related to the price of fuel. Farmers need diesel for their tractors, propane for their heaters, and gasoline for the trucks taking their products to market. Ever seen an electric car pulling a trailer of corn or cattle? Furniture cannot be delivered to the stores in an electric car. Nor can enough wheat be delivered to the bread bakers, and bread to the grocers. Everything is priced in some way based on the manufacturing and delivery costs. Hotels, restaurants, tourism, wineries, mail delivery, garbage removal, sanitation – everything from toilet paper to electronics – is effected by the price of gas. Electricity has gone up over the last year by as much as 20%. As we pay more and more for products and services, we are left with less and less purchasing power. This is how many of us perceive the issue. How would each of you solve it? Would either of you be in favor of an American Oil Company that is not part of OPEC? What if that company was given sole rights to the wilderness in Alaska? What if that would bring the price down to $1.50 per gallon, as it should be a non-profit? If we were not hostage to OPEC and the oil from the Arab Nations, would our policies change? As for social issues, would each of you address the marriage equality act and the importance of separating Church and State? As a Christian, I believe in the right of every Church to decide for themselves the rules of marriage within the confines of their temple, synagogue, and church. They should not be forced to marry anyone. That being said, I also do not believe that religion should dictate to government and that equal rights for the pursuit of happiness are guaranteed in our Constitution. To say otherwise, is against the foundation of this country. Our first lady, Michelle Obama, has spoken for the president when she stated clearly in her speech for the Democratic Convention that she and her husband both believed in the rights of everyone to choose freely who they loved and married. But I would like to hear it from you, Mr. President and from you, Governor Romney. Where do you stand on the issue of marriage equality? And speaking of equality, where do you both stand on the issue of healthcare for women? There has been a lot of backlash following the unfortunate comments made by a couple of Republicans – most notably Todd Akin – on the confusion many men have about how a women gets pregnant, how that pregnancy is handled, and who should decide. 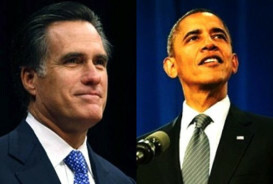 This is likely where you, Mr. President, are getting a bump among women – 49% to Mr. Romney’s 43%. Governor Romney, explain for us how you differ from many within your party and how you perceive Roe vs. Wade. And speaking of rights, the right to bear arms has been attacked by many Democrats. The NRA supports Republican candidates due to this issue. Where do you really stand on this Mr. President? Do you intend to infringe on the right to own and bear arms? I believe you, Mitt Romney, have already confirmed your support. But you haven’t been upfront about your support for unions and as an attack on the right of workers to unionize has been popularized among many Republicans, I would like to hear where you stand on that issue. I would also like to know how you each rationalize the tax code and the proposed limitation of deductions. What is left to challenge that doesn’t hit the middle class right in the gut? The next debate is at Hofstra University. You both say that higher education is a must for our youth – the ones we are bestowing a huge deficit to. But how will they afford this education? Over the past decade, tuition to universities and colleges has doubled and in some cases tripled. While the poor qualify for grants and scholarships and the rich are not unduly effected, the middle class is finding that they haven’t been able to keep up with the growing cost of higher education. What are you each proposing to do about this? Are there any programs you would support that would pay for the education of our youth provided they study fields of particular interest to America – energy, foreign languages, teaching, engineering, technology, medicine, economics, etc.? Governor Romney, the Mormon Church educates its youth in exchange for their missions. Would you support such a program for the nation? The most contradicting issue of the Obama presidency has been the promise of peace and the continuation of war. And although we have left Iraq – with the exception of a small troop left to guard the embassy in Baghdad – and killed Osama bin Laden, no small achievement, we are still involved in Afghanistan, Libya, and Pakistan, while the Sudanese and Syrian conflicts are sucking us in as clearly as Iran has been baiting us with its promise of nuclear capabilities. Egypt, Turkey, Israel all face uncertainty and India is straddling a tight fence with its neighbors. Greece, Italy, Spain, and Zimbabwe are facing economic uncertainty and growth has slowed for the European Union, Canada, and the United States. Global unrest vibrates. What are your international policies – or proposed policies – for the next four years in the face of these trying times? An electro-magnetic pulse (EMP) could disrupt our space satellite from its ability to transmit, disabling the internet, our computerized equipment, communication, and basically – life as we know it. Newt Gingrich made a firm case for the necessity to protect the satellite. Mr. President, what are you doing toward this effort? Mr. Romney, if you are elected, what are your intentions regarding satellite security? And the final question that I would like to know the answer to from each of you would be how you intend to stop the nastiness between the parties once you are elected or re-elected. The determination to undermine the president simply because he is of the opposite party must end. 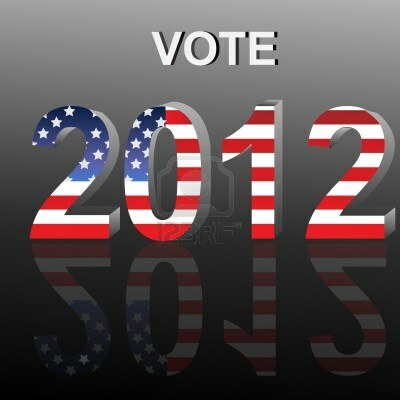 Ultimately, if the president succeeds, America succeeds. If he fails, we all fail. All. Not just the Democrats or just the Republicans. How will you reach across the aisle? How will you listen? How will you respond? How will you represent all Americans and our interests once you have the complete faith of our great nation in the palm of your hand? To my readers, what would you like to know that I haven’t asked? Please leave your comments in the form of a question to the candidates. Insurance companies are already dictating to doctors about what the “preferred” treatment/medication should be (or there won’t be compensation), why? If insurance companies could compete across state lines, things might be improve, right? Why are lobbyists allowed to submit proposed legislation to legislators to “help” them and “save them time”? Why would any ever legislator sign a bill that they haven’t read? Why isn’t there a reasonable period of time (an hour or more per page and with a limit of 8 hour reading period per day – so multiple days for big bills) to allow each bill to be read thoroughly and to allow comments from constituents to be received? Why is food being used as fuel when so many are hungry – in our own country? How do you justify giving money to other countries and building them roads, schools and libraries when there is so much here that could use that money? (like roads, school buildings, libraries…and pockets of extreme poverty like the colonias along the US side of the border, family farms, towns where industries have left, National Parks,…not to mention the Native Americans…)The list is endless and you are sending my tax money where? Seriously? Do you know the difference between a politician and a statesman? So, which are you and why? Great points and questions Karen. You have added so much to the letter. Thank you. This is an e-mail I received from my cousin. I think that it relates to your open letter…and by way of extension, is a response to you…however cynical, funny or, if you will, wise. I think you covered most of the big questions. I wish I could feel good about anyone taking on the office of President! I don’t know if our politicians are not up the job anymore…maybe our issues are too complex for any one individual to manage. I don’t like our process…too long, too drawn out, and too expensive. Think what could be done with the all money spent campaigning! But that’s a complaint about the process, not really the fault of the candidates…. Regardless, I can’t say I’m an enthusiastic voter, although I will vote. I’m usually an optimist, but I find myself feeling cynical and distrustful that either party/candidate will do what we need. Most of all, I agree that both parties MUST find a way to cooperate. I just read an article in “O” magazine that had Donna Brazille and Mary Maitlin (probably just misspelled their names – sorry) discussing their longstanding friendship and serious conversations though each is an avid supporter of opposite parties. The trick they say, is to learn to talk about the issues without trying to humiliate the other person. If we could learn this, we could solve the problems. That seems to be the real challenge! A very few politicians seem to have that skill. Maybe it should be taught in freshman congressional school! Seriously, I wish our culture would move away from personalizing differences. You don’t have to like someone to work with them, and you don’t have to demonize someone to have a difference of opinion. I am really disgusted by that behavior in either party! Maybe civility needs to be a requirement of anyone (and their surrogates) seeking political office. Or would that be too much to ask? Thank you Bella. I just needed to get it out. My main question is philosophical: how will you protect individual rights? And what matters more to you: liberty or equality? Yes, that is perfect El. Great question. Renee, that was an outstanding post. Well thought, well worded and quite broad with regard to a number of topics. I too remain somewhat undecided, and living in the region of the Country that is Washington politics, I am stuck within the orbital pull of it all, watching some of the best intentioned of newly elected politicians arrive and face an entirely new reality of lobbyists lining up the K Street gauntlet each must run through as they make their way to the Congress. My biggest worry is that politicians have all become spokespersons, mouthpieces if you will, for the most powerful of Corporations within this Country. Oil, energy, financial, insurance, healthcare, and a handful of other companies all establishing the maze of legislation, tilting tax codes and regulations to create advantage, often uncompetitive advantage, in the marketplace. The little guy, the average American stands little chance of being truly represented. This saddens me quite a bit. The biggest challenges I see to a real recovery are all rooted in the tax code. I’m a businessman, and here it is October of this year, yet I cannot budget and forecast with accuracy because in three months, tax legislation that affects the companies I am responsible for running is due to expire. Do I budget for the increased taxes? Not sure, because there is rumbling that the lame duck session will alter or legislate changes to that. What and how? Who knows? How do businesses, and individuals for that matter, deal with uncertainty? Most will sit on the fence and wait. We need tax policy and regulations that are simple, fair, and stable. When these things are predictable, we then have a stable environment that all businesses and people can plan around. And that is how you build a foundation that is sturdy and durable. Same with healthcare insurance. There is way too much confusion out there, and a confused marketplace is ripe for gouging and corruption. I’m afraid however that little of this will change until the influence of the special interests are diminished. You say we are in a minority. That is precisely where the special interests want us. It doesn’t have to be so, but who organizes and bands our interests together? That is the challenge. Sorry for rambling – there’s just way to much and no amount of paragraphs can even scratch the surface. But thanks for giving me a few minutes on the soapbox. Phil, I love your comments. You have a unique perspective, living where you do and witnessing it all first hand. I think most people have the best intentions when they begin their political career, but as you say, it goes off-rail with the influence of so many special interests. Thanks for your input. One question for YOU..Did you submit an application to moderate a debate? Brilliant and spot-on! I heard a talking head on TV say “the undecided voters are the dangerous ones because they are uninformed.” Made me angry and offended me. It is so NOT true and you have just proved it. Loved this. Thank you! I supposse we are dangerous because they can’t predict what we will do and we keep the candidate’s feet to the fire on real issues. I appreciate having your comment. Thanks for stopping by. You raise many questions that are important, however, I fear you won’t hear the real answer. They dance around questions now with sound bites and statistics. I’m curious to see how this election will turn out since it is so close. Right you are. We’re more likely to hear a prepared response that leads us to a fray about Sesame Street rather than the serious reply that may be unpopular. Oooh, oooh, Mr. President, can I answer this one? Obamacare is an imperfect compromise to fix one of the biggest problems in our social history. It is imperfect because of the money that is invested by insurance companies (and drug makers and oil companies and and and) into “electing” the Congress. Until that is reformed (how can that happen?) there will be no full single-payer system. Yes, both parties are guilty. But not equally. It is in the interest of big business to elect Republicans. They are the ones who want to give a HUGE bonus to insurance companies by changing Medicare into a voucher system – who will benefit from that one. There is a clear difference this time. Obama is an imperfect leader, as all are. But he has a heart and a soul and he cares about people. He believes in compromise (see Obamacare above). Romney? He doesn’t understand real folks. Period. Mr. President, here’s the mike. Insurance companies have definitely gotten a big boost already. They certainly don’t need more coming from Medicare. So from your comment I’ll take the question to be: How do we reform healthcare without forcing Huge profits into the wrong pockets? I can answer that one — we don’t gut what little is there. …which brings us back to the problem and you and I could go round and round and still we have no solution. I’ll just put you squarely in the Obama camp, no further information necessary. You’ve written a wonderful post here Renee. My question: As a woman it makes me really mad when someone tells me what I can or should be doing with my body. Amen. Aren’t there so many other pressing issues thar our great nation is facing! An outstanding post indeed as you covered a myriad of topics and issues. I am a moderate independent in a swing state. As I like to say, as an fiscal conservative and social liberal, both parties want my vote to declare a mandate, but neither wants my policies. Meanwhile, I see some familiar people here! I think I might like your policies. I too identify as fiscally conservative and socially liberal. So I tend to like candidates that line up a little closer to the middle instead of out on the fringes. Thank you for visiting and leaving such a nice comment. Here’s my post leading into yesterday’s debate … and there is a link to an earlier post that sets it up. Each one of your questions are excellent and pertinent. Don’t expect answers to them…now or ever. The goal appears to be to keep the electorate mystified. We often get stories about some lady met along the campaign trail that weaves around the question and ducks the answer. You’re right – not likely to receive one. Renee, if you ever decide to run for president, I’ll move back to the US and campaign for you. This is an excellent post, filled with insight and fairness. I’m so glad you found this to be fair and insightful. And should I ever run, your endorsement would be priceless. Thanks Charles. You spoke the truth and I admire people who speaks with honesty, courage and conviction. Great post. Thank you. Sometimes you just have to say what is on your mind. Glad you approved.